An Airbus A320 operated by the Germanwings airline, a budget subsidiary of German carrier Lufthansa, crashed Tuesday in Digne-les-Bains, in the south of France. The French aviation authority confirmed the flight from Barcelona, Spain, to Dusseldorf, Germany had crashed. Reports said debris had been found near Digne, on the southern edge of the French alps. The plane was believed to be carrying 142 passengers, two pilots and four cabin crew. It vanished from radar at 11 a.m. local time. A passenger plane with at least 148 passenger and crew on board may have crashed in the French Alps on Tuesday en route from Barcelona to the German city Dusseldorf, local French media reported. The flight is said to be an Airbus A320 operated by the German Wings airline, according to La Provence, a French newspaper. It may have up to 150 passengers on board. In a televised address, French President Francois Hollande said there aren't likely to be any survivors given that the crash happened in such a remote area. "It's a tragedy on our soil," he said. The airline said it was not yet able to confirm the crash. "We have recently become aware of media reports speculating on an incident though we still do not have any own confirmed information," German Wings tweeted. Lufthansa spokeswoman Kim Jucknat said the airlines has launched an investigation. German Wings is a subsidiary of German airline Lufthansa and is said to have a good safety record. It is a low-cost carrier known for taking passengers from Germany to areas along the Mediterranean popular with vacationers. (CNN)A Germanwings Airbus A320 plane carrying at least 148 people crashed Tuesday in mountainous southeastern France, French Prime Minister Manuel Valls told reporters. French President Francois Hollande also said no survivors were expected. The plane crashed near Digne les Bains, in the Alpes de Haute Provence region, Valls said. The crash happened at about 10:30 a.m. (5:30 a.m. ET) in mountainous terrain near the village Prads-Haute-Bl�one, French police Capt. Benoit Zeisser said. The crash site would be nearly halfway between Barcelona and Dusseldorf. 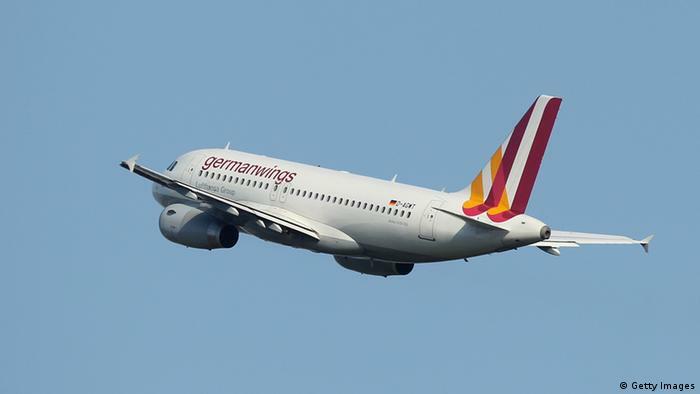 An Airbus A320 operated by Germanwings was involved in an accident in mountainous area in southern France. Flight 4U9525 departed Barcelona, Spain at 10:00 hours CET on a regular passenger service to D�sseldorf, Germany. The flight reached its cruising altitude of FL380 at 10:27 hours. Starting 10:31 hours, the airplane began losing altitude. 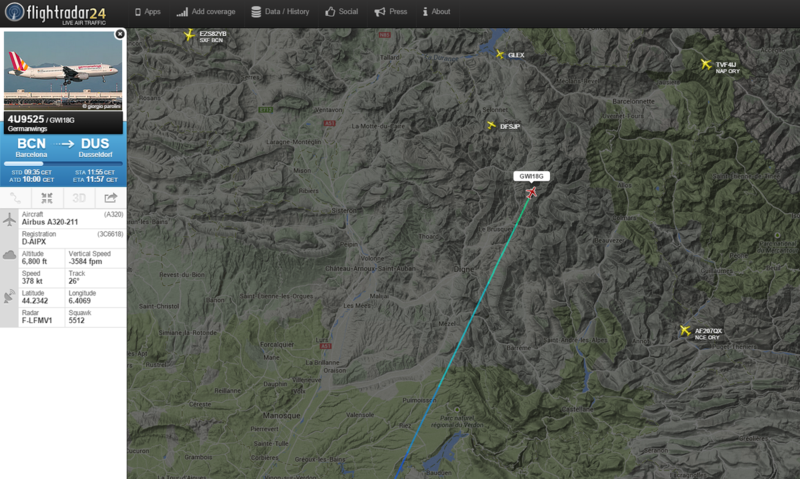 Last recorded position by flight tracking website Flightradar24 was over southern France at 10:40 hours CET. According the French president Fran�ois Hollande there were no survivors. 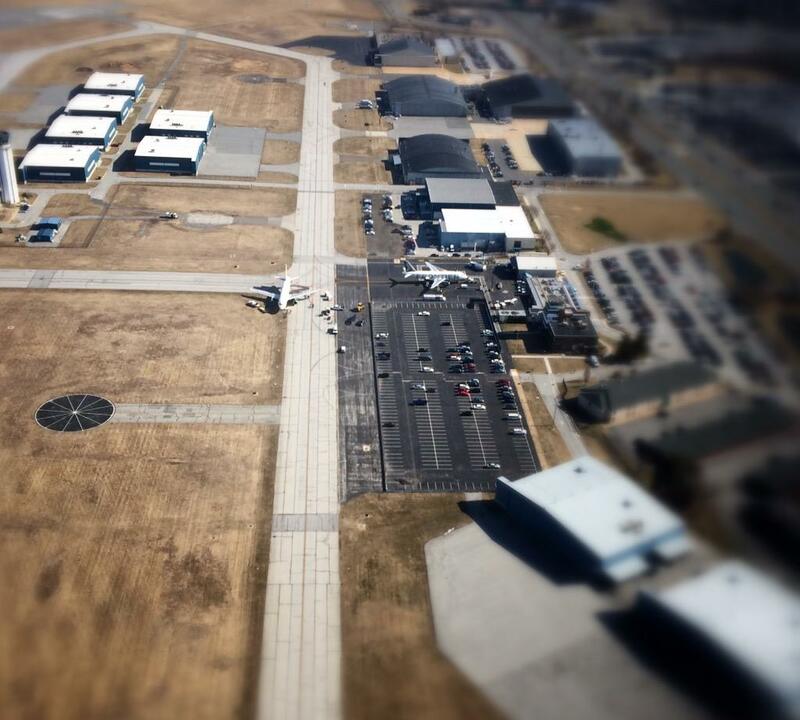 An off-roading passenger jet carrying families bound for Walt Disney World got stuck in the mud at a Delaware airport late Sunday. Frontier Airlines flight 1435, carrying 105 passengers bound for Orlando, Florida, was taxiing at New Castle County Airport at 9:30 p.m. when the pilot veered off the concrete taxiway and onto a grassy area filled with mud, airport officials tell NBC10. The Airbus A319 jet couldn't propel itself out of the mess and was left slightly tilted with its front and right-rear landing gear stuck. The passengers were led off the plane and the flight canceled, officials said. No one was hurt, but one passenger said his daughter was bummed that the hiccup delayed their trip to Disney World. Service members from the Delaware Air National Guard were brought in on Monday morning to help pull the plane from the mud. A Frontier jet destined for Orlando, Fl. never made it off the runway at New Castle County airport because it got stuck in the mud. NBC10's Tim Furlong talks to a family who had to change their travel plans. Just like you would do with a car, the guardsmen dug around the tires and placed plywood underneath the 70 ton jet's wheels. They then towed it back to solid ground, officials said. The passengers were eventually flown to Orlando using a different jet. Turkey's main aircraft carrier, Turkish Airlines, has announced that it will recruit 600 pilots this year. According to a statement published on Monday, a recruitment roadshow will be held in Madrid between Thursday and Friday this week as the company wants to hire "skilled pilots" and increase Spanish flights. A total of 4,014 pilots currently work for Turkish Airlines, flying the company's 249-strong fleet. Turkish Airlines said it will increase its weekly flights from Barcelona to Istanbul, from 21-28 as of May 25 this year. The company aims to carry 1 million passengers on flights to Spain this year. The company said it would recruit 600 more pilots in 2016. Airbus celebrated the delivery of its 9,000 aircraft on Friday, with the milestone plane - an Airbus A321 - going to Vietnamese carrier VietJetAir. "The delivery of our 9000th aircraft comes as we enjoy ongoing strong demand for aircraft across our product line," John Leahy, Airbus' Chief Operating Officer, says in a statement commemorating the occasion. "The range of aircraft we offer today is unrivalled, meeting every airline requirement from 100 to over 500 seats with maximum efficiency, uncompromised comfort and broad customer appeal." "We are especially pleased to be delivering today's aircraft to VietJetAir, which is a rising star in the fast-growing Asian region," Leahy adds. "With the A321, VietJetAir will be able to increase capacity on its most popular routes while benefiting from the lowest operating costs of any single aisle aircraft." Airbus delivered its first commercial passenger jet - an A300 - in 1974. Today, Airbus' commercial passenger jet line-up includes the A320 family, the A330, the A380 and the new A350. Several older aircraft models are no longer in production, but still fly for major global carriers. Among the most-notable is the four-engine A340. Airbus ended production of the jet in 2011, though the A340 still flies for major carriers in including Lufthansa, Thai Airways, Air France, Cathay Pacific, Virgin Atlantic, Swiss, China Eastern and others. Airbus' landmark 9,000th delivery comes just two years after it delivered its 8,000 aircraft, which came in August 2013. Airbus says it now delivers more than 600 aircraft a year today, a figure that Airbus says "is set to rise further as the demand grows." Six aircraft operators have been banned from flying within UAE air space due to safety regulations, Arabic daily Emarat Alyoum has reported. The civil aviation authority also banned nine specific aircraft from entering the country's air space after they were deemed unsafe. The authority made the decisions last year following 322 safety inspections, the daily said. Details of the safety infringements or the company names were not revealed. More than 400 foreign airliners operator in the UAE, servicing 200 destinations. The country's commercial passenger traffic grew by about 20 percent last year, the civil aviation authority said. DUBAI // An Emirati pilot with Etihad Airways has become the youngest holder of a PhD in aviation and just the eighth in the world to obtain the degree. Following on from his studies in aerospace engineering, aviation management and safety that yielded a degree and two masters qualifications, Etihad then sponsored his PhD studies at Embry-Riddle Aeronautical University, Florida. Mr Al Romaithi will be putting his skills to good use with the Boeing 777 fleet from April. "I am thankful to Etihad Airways for giving me the opportunity to obtain this unique degree while at the same time pursuing what I love," he said. "I encourage my colleagues to pursue their goals, never give up on their dreams, to become risk takers and not be afraid of failure. "We are blessed with all the opportunities that come our way; it is up to us to accept the responsibilities."